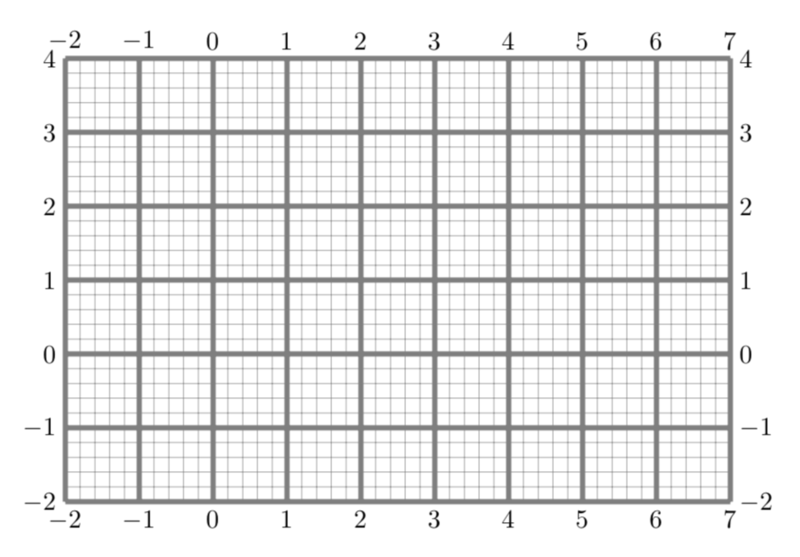 This is a request for an enhancement to this fairly amazing answer by Loop Space: How can I show coordinates by grid in TikZ automatically?. 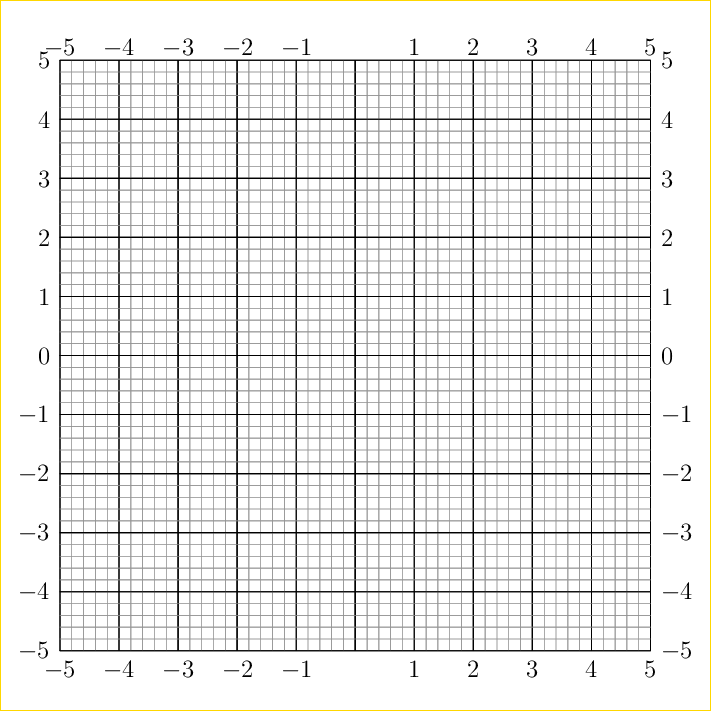 This answer gives a recipe for placing a grid on a page with coordinates on the left and the bottom. I want an enhanced recipe, which has coordinates on the right and the top, as well. I'd prefer an answer that builds directly on Loop Space's answer, but I suppose other choices are ok too. 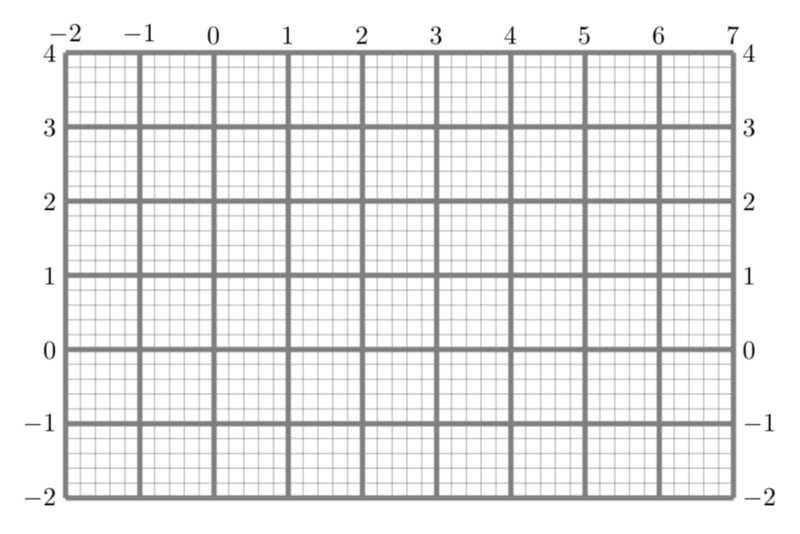 My reason for asking this question is that I want to use a coordinate grid for annotations. And having the coordinates on both sides would make annotations easier, because the coordinates would be more easily visible. See, for example, my answer to "Text annotations and image additions to PDF file using free software". Initially, the ticks left and at the bottom are true while the others are false such that you reproduce the output of the original answer if you do not add any of these keys. ADDENDUM: A version without \pgfextra. The \GridCore code is entirely from this cool answer. A PSTricks solution just for fun purposes. Someone stole the 0 labels on the horizontal axes.